This upcoming region is starting to make a name for itself as a hotbed of rich reds, clean whites and incredible sweet wines made from dried grapes. 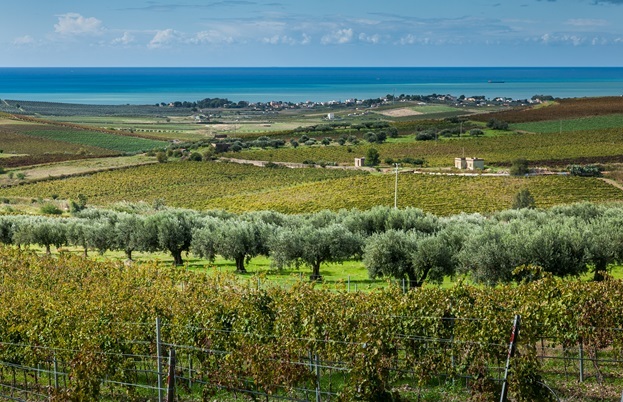 Jacopo Mazzeo fills us in on which Sicilian wines to look out for. Throughout history, all the conqueror of Sicily – Greeks, Romans, Arabs, Normans – added a new layer to Sicilian food culture, as well as to its language, arts and architecture. As a consequence, the keyword for Sicily is diversity. The island's wine heritage, like that of many other southern Italian regions, dates back millennia: traces of 6,000-year-old wine were recently discovered in a Sicilian cave. However, once again, like any other southern Italian region, wine production of more recent centuries has not enjoyed a favourable reputation. Today, the island still produces vast amounts of bulk must for blending, shipped north to beef up flabby, cheap Italian and European wines. Despite this, in recent years Sicily’s reputation has been gaining momentum, and it is now producing some of the most elegant and sought-after reds and passitos (a type of sweet wine made from dried grapes). The relatively recent focus on quality is reflected in the small number of DOCGs (there’s only one in Sicily compared to, for instance, a tiny region like Umbria, which has two). Yet, as quality increases, the island now boasts twenty-three DOCs. 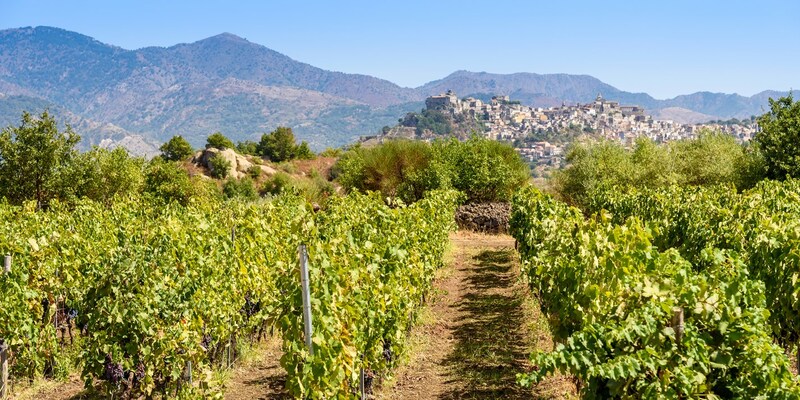 Most of these are little-known, and allow for the use of indigenous as well as international grapes, which have been crucial in putting Sicily on the wine map. The most successful bottles are prestigious labels such as ‘Vigna San Francesco’ Cabernet Sauvignon by Tasca D’Almerita and Planeta’s Chardonnay Sicilia DOC Menfi. Despite the high number of small DOCs, many winegrowers often prefer to use the region-wide Sicilia DOC. 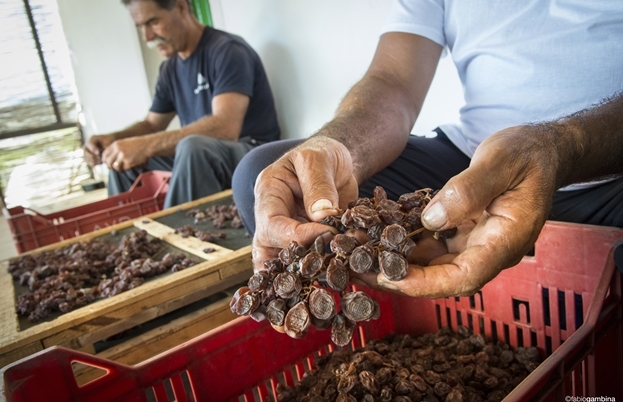 It gives significant freedom by allowing them to use pretty much any grape – indigenous and not – grown on the island. It also helps sales; even within Italy, Sicilia DOC is a much easier label to market when compared to obscure appellations such as Delia Nivolelli, Contessa Entellina or Riesi – all DOCs of recent creation whose names are not characterised (yet) by any recognisable own style. The most popular indigenous red grape is Nero d’Avola – also called calabrese. It is subject to a wide range of interpretations, from light and floral to deep and rich; it appears in nineteen out of the twenty-three Sicilian DOCs and has become so fashionable abroad that Australian and American winegrowers are experimenting with it. Alessandro di Camporeale makes the beautiful (and inexpensive) ‘Donnatà’: fresh, floral and with enticing sapidity. A slightly costlier (though top-quality) bottle is Feudo Montoni ‘Vigna Lagnusa’, rich and brooding yet showing remarkable fresh fruit character. An excellent rosato interpretation is Curto’s ‘Eos’, labelled as Eloro DOC. Nero d’Avola is also the main ingredient in Cerasuolo di Vittoria, Sicily’s one and only DOCG, together with the town of Vittoria’s local grape Frappato. Cantine Nicosia ‘Hybla’ shows a rich aromatic profile with red cherry and floral notes; Poggio di Bortolone ‘Contessa Costanza’, with its higher proportion of Frappato, is a much fresher version. For a pure taste of the Frappatogrape, try Terre di Giurfo ‘Belsito’, which is labelled Vittoria DOC (a 100% Frappatodoes not qualify for DOCG). They even make a delicious sweet version. Interestingly, Nero d’Avola is not involved in Sicily’s prestigious Etna DOC, arguably the trendiest upcoming region of the wine world. 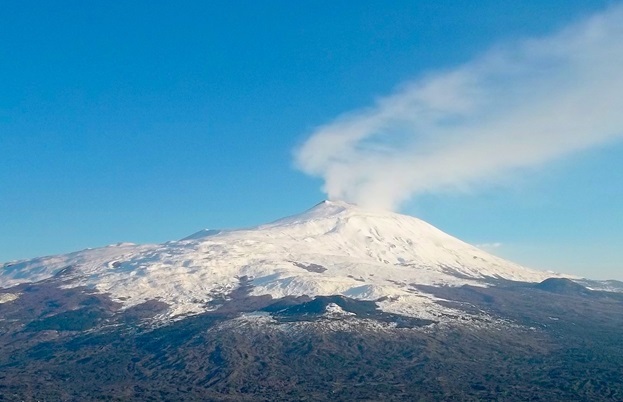 Mount Etna’s moon-like slopes are not far from Catania, Sicily’s second largest city. If you are a true wine enthusiast, you must visit once in your life. The best vineyards run along the north-eastern slopes of Mount Etna, the biggest active volcano in Europe, where summers are warm but winters are particularly harsh, especially at high altitude. The Nerello Mascalese grape rules undisputed here, although it is often blended with its gregarious Nerello Cappuccio, much less sophisticated yet able to moderate Nerello Mascalese’s high acidity and firm tannins. Nerello Cappuccio can still create good wines though – Tenuta di Fessina’s ‘Laeneo’ will prove my point. Some of the best Etna DOCs are Passopisciaro ‘Passorosso’ and Benanti ‘Rovittello’. Planeta’s excellent Etna DOC is 100% Nerello Mascalese, and so is Al-Cantara ‘Amuri di Fimmina e Amuri di Matri’ Rosato, a perfumed example of rose that can even benefit from some ageing. Frank Cornelissen, again on the northern slopes, has an outstanding range of single vineyard reds. Nerello Mascalese is also found in Faro DOC, a rather fashionable wine region around the town of Messina. 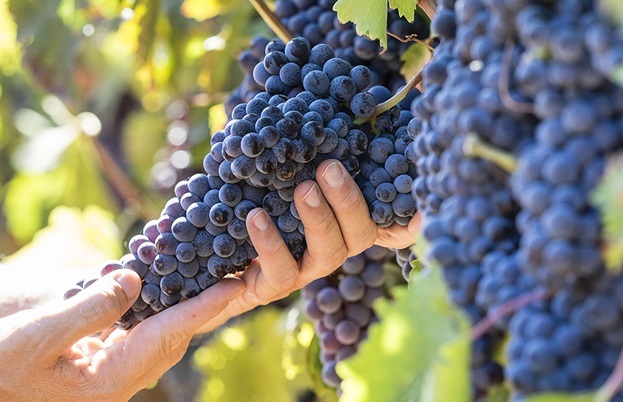 Nero d’Avola and Nocera(a dark-skinned grape that was even exported to Beaujolais and Provence at some point) also play a major role in these wines. 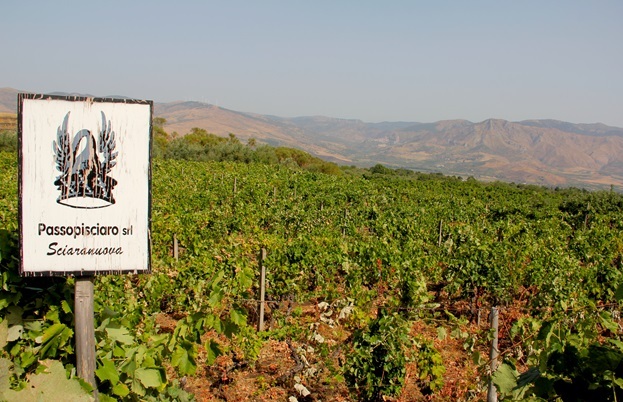 This appellation was almost solely created in the 1990s by Azienda Agricola Palari, and their Faro DOC remains an iconic wine. Le Casematte’s interpretation is more modern, oaky, spicy and round. The best Sicilian whites are also found on Mount Etna, relying on Carricante when quality is the target. Cusumano ‘Alta Mora’, Cottanera ‘Calderara’ and Barone di Villagrande are all great Etna whites. They can either be enjoyed young or with a bit of age, thanks to their high acidity and good mineral character. Sicily’s other major white grapes are Grillo, Catarrattoand Inzolia (also known asAnsonica). None of them are particularly well regarded abroad, but when handled with care these grapes can produce great wines at a ridiculously low price. Firriato makes a Sicilia DOC Catarratto that shows great elegance. Fondo Antico was among the first producers to invest in the Grillogrape; their ‘Grillo Parlante’ is complex yet clean and neat. 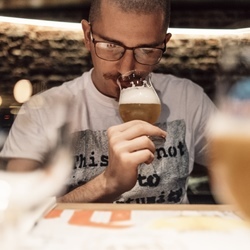 Feudo Maccari makes a fat, barrel-aged version called ‘Family and Friends’, since it was once destined only for family consumption. Feudo Arancio makes instead a fragrant Inzolia with plenty of fresh apricot, nectarine, peach and pear aromas. The real gems of Sicily’s wine offering are sweet and fortified varieties (known as passito), whose range and quality canont be matched anywhere else in the world. Sweet wines alone are a good enough reason to visit Sicily! The tiny island of Pantelleria’s Zibibbo(Muscat)bush vines have earned a place on UNESCO’s Representative List of the Intangible Cultural Heritage of Humanity. 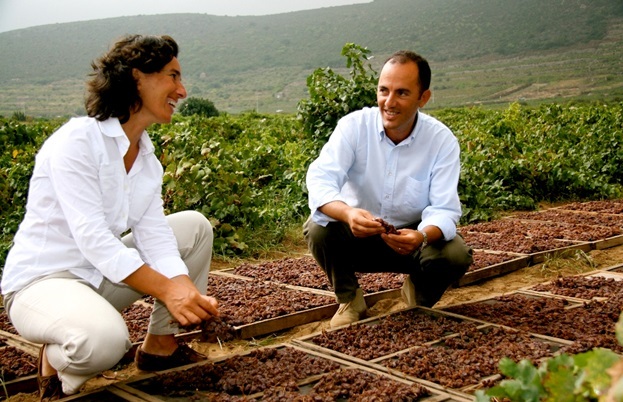 Donnafugata Ben Ryé Passito di Pantelleria DOC enjoys worldwide fame, but there are also an increasing number of small producers contributing to Pantelleria’s fame. Vinisola, with its ‘Arbaria’ Passito, is one of them. They also have an interesting range of dry wines, including the aromatic ‘Zefiro’, itself 100% Zibibbo. Other notable sweet wines are made either with Moscato or with Malvasia. Moscato di Noto and Moscato di Siracusa are both DOCs from the southeast of Sicily, the former being lighter in style and good for early drinking. Malvasia delle Lipari is not as popular as Pantelleria’s passito, yet just as juicy and refined. By far the best is by Carlo Hauner, who matures the wine in stainless steel tanks only, allowing the passito to retain great freshness. Marsala DOC is Italy’s answer to sherry. It is made following a similar process – like sherry, it is mainly dry, though most people think it is sweet. Lastly, it was ‘invented’ by a Brit. The first modern-style, fortified Marsala was produced by John Woodhouse, an eighteenth-century English merchant who saw the potential for a new, Port-style, profitable export. Since then Marsala has always been fortified, and made in a range of different styles. Unfortunately, in the past century it marketed itself as a sweet wine for cooking, which hammered its reputation – only now is it slowly making a comeback. The vergine style is the best quality, though superiore and superiore riserva can be really good. Vecchio Florio Marsala Superiore Secco is the best example of the latter, while De Bartoli Vergine Riserva is one of the very few of its own style. De Bartoli still produces an unfortified Marsala, in the style that preceded Woodhouse, called Vecchio Samperi. A must-have for your cellar.